Below you can view all the townhouses for sale in the Glen Ivy Townhomes subdivision located in Marietta Georgia. 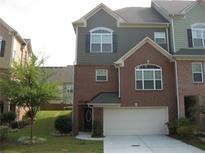 Listings in Glen Ivy Townhomes are updated daily from data we receive from the Atlanta multiple listing service. To learn more about any of these townhouses or to receive custom notifications when a new property is listed for sale in Glen Ivy Townhomes, give us a call at 404-998-4102. Lower Level Room With Attached Bath Can Be Bedroom Or Bonus Room. MLS#6529082. Ansley Atlanta Real Estate-Atlanta North. Lower Level Room With Attached Bath Can Be Bedroom Or Bonus Room. MLS#6529072. Ansley Atlanta Real Estate-Atlanta North. Community Is Gated With A Pool! MLS#6526965. Margavio Realty, Llc..
Lower Level Room With Attached Bath Can Be Bedroom Or Bonus Room. Basement Homes Available! MLS#6522315. Ansley Atlanta Real Estate-Atlanta North. Lower Level Room With Attached Bath Can Be Bedroom Or Bonus Room. Basement Homes Available! MLS#6522149. Ansley Atlanta Real Estate-Atlanta North. Lower Level Room With Attached Bath Can Be Bedroom Or Bonus Room. Basement Homes Available! MLS#6522314. Ansley Atlanta Real Estate-Atlanta North. Lower Level Room With Attached Bath Can Be Bedroom Or Bonus Room. Basement Homes Available! MLS#6522313. Ansley Atlanta Real Estate-Atlanta North. Lower Level Room With Attached Bath Can Be Bedroom Or Bonus Room. Basement Homes Available! MLS#6522299. Ansley Atlanta Real Estate-Atlanta North. 4Th Level Is A Huge Bonus Room Or Media Room. Excellent Condition. MLS#6119066. Re/Max Unlimited.